According to Pew Research, approximately 53.5 million Millennials entered the workforce in 2015. Moreover, the number is increasing rapidly. By 2020, it’s expected that 46 percent of US workers are the Millennials. Thus, we can safely assume that there are managers who are much younger in age leading a team comprising much older individuals. The Gen-Xers and some of the Baby Boomers are still in the workforce, and they have different habits, outlooks on life and career, and overall skill sets. Now, let’s set stereotypes about each generation aside and focus on what younger managers can do to manage older employees professionally. First, relate to them and understand their lifestyle. Older individuals have different family structures. Perhaps they already have grown children and, even, grandchildren. They have family obligations and other responsibilities that younger individuals might not have. Understand their lifestyle, traditions, and responsible. Respect them. Second, be humble enough to learn from them. They might have worked much longer than you, so they have a wealth of experiences, which are too precious not to learn from. Even though you’re their manager, you can consider them your “unofficial mentors” in their unique capacities and capabilities. Learning from experienced individuals would save you much time doing your own mistakes. Third, exchange ideas with them. From time to time, exchange ideas with them. Listen to their ideas, learn from them, and combine them with your managerial skills to get the most optimal results. Of course, you’d need to use your best discretion before deciding to use their ides or not. Because, after all, you’re the leader and you’re responsible for your team. Fourth, expect to be respected and continuously work to maintain it. The older generations are respectful people, which is a positive generalization. In the olden days, people call their managers, “Mr. Smith” and “sir,” instead of their first names. So you can expect to receive a good dose of respect, even though the older generations might not call you by your last name anymore. With given respect, it comes with a responsibility to maintain it by working hard and smart to earn respect continuously. Fifth, teach them with respect. Sometimes, the older employees need updating on their skills, like new technologies and new concepts. During the training, treat them with respect, just like how you wish to be treated. If some of them are slower than others, it may mean that they’re less exposed to new things, which require more patience from your part. Sixth, validate and appreciate their contributions. People, whomever they are and from which generation they come from, need to feel validate and appreciated from their contributions. Be clear about these early from the beginning and be generous in praising their positive contributions. If they happen to do something less favorable, ensure that they understand what it is and how to solve it. Seventh, motivate them to be their best selves. Despite their age and longer working experience, people need to be motivated from time to time. You can start with appreciating them. When they need some encouragement, be their cheerleader without being condescending. In conclusion, leading older employees may sound intimidating for a young manager in the beginning. However, trust yourself. You’ve been appointed as a manager for a reason and most likely because your boss believes that you’re mature enough to lead those employees. At last, educate yourself about managing others and being a good leader for all. You’ll be a much better manager in no time. 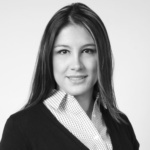 Fabiola Gonzalez is an engagement manager at Brakston Grey, a division of Alder Koten that focuses on high potential professionals and managers on a development path for executive positions, and is a member of the firm’s maquiladora, and supply chain & operations practices.